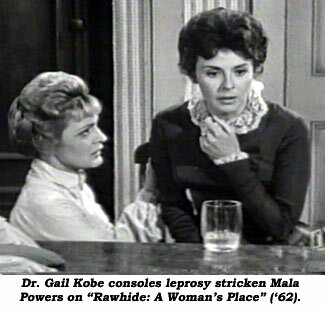 The very gracious lady with lots of interesting stories to tell died at 75 or leukemia June 11, 2007. 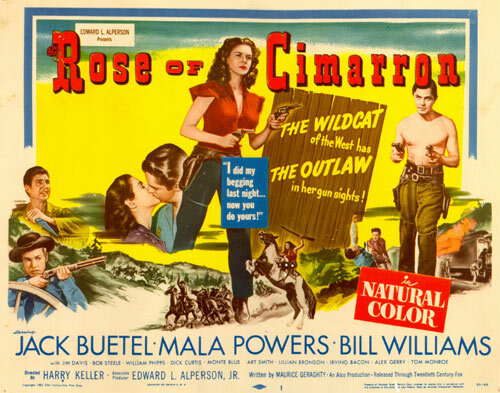 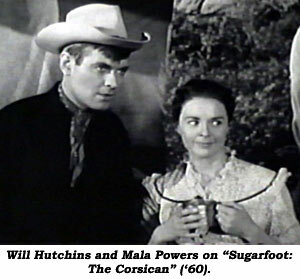 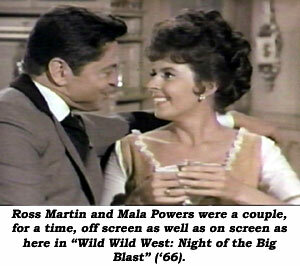 Movies: Rose of Cimarron (‘52 Fox)—Jack Beutel; Yellow Mountain (‘54 Univ.–Int’l. 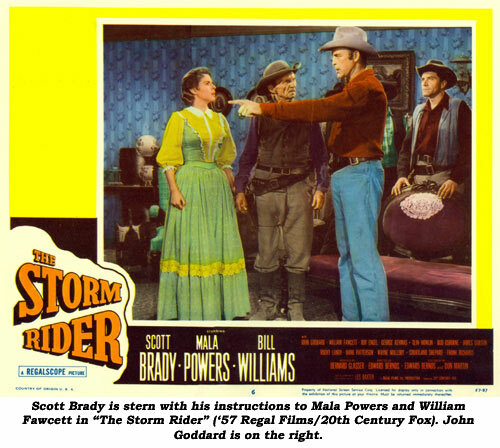 )—Lex Barker; Rage At Dawn (‘55 RKO)—Randolph Scott; Storm Rider (‘57 Regal/Fox)—Scott Brady; Sierra Baron (‘58 Fox)—Rick Jason. 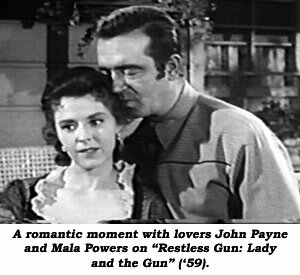 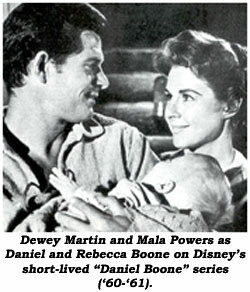 TV: Zane Grey Theatre: Black is For Grief (‘57); Wagon Train: Ruttledge Munroe Story (‘58); Wanted Dead or Alive: Til Death Do Us Part (‘58); Restless Gun: Take Me Home (‘58); Restless Gun: Lady and the Gun (‘59); Bonanza: Diedeshiemer Story (‘59); Tombstone Territory: Female Killer (‘60); Rebel: Take Dead Aim (‘60); Cheyenne: Alibi For a Scalped Man (‘60); Bronco: Montana Passage (‘60); Sugarfoot: Corsican (‘60); Walt Disney Presents: Daniel Boone (regular) (‘60-‘61); Cheyenne: Trouble Street (‘61); Maverick: Dutchman’s Gold (‘61); Lawman: Blind Hate (‘61); Rawhide: A Woman’s Place (‘62); Wide Country: Man Who Ran Away (‘63); Wild Wild West: Night of the Big Blast (‘66); Daniel Boone: When I Became A Man, I Put Away Childish Things (‘67); Here Come The Brides: Fetching of Jenny (‘69).